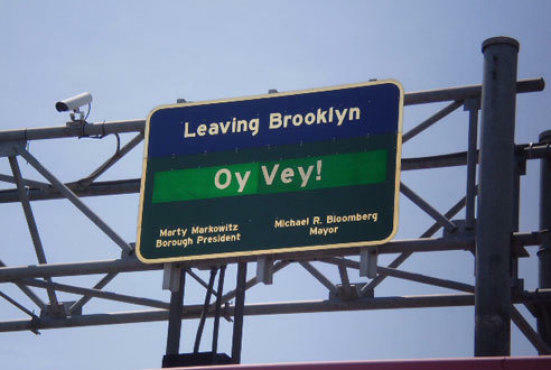 Photo of the day: Leaving Brooklyn, Oy Vey! One more reason to love New York: Our politicians have a sense of humor. Got a New York photo to submit? E-mail photooftheday@timeoutny.com. By submitting, you agree that you are the sole owner of all rights to the photo, and TONY may alter or use it in any way.